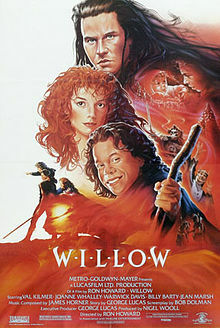 Friday, July 12th at 8pm: Willow (1988)- At once an epic celebration and a gentle spoof of the sword-and-sorcery genre, the film concerns the efforts by little person Willow Ufgood to protect a sacred infant from the machinations of a wicked queen. At SubRosa, 703 Pacific Ave.
Friday, July 19th at 8pm: The Craft (1996)- A Hollywood look at witchcraft. Ridiculous. A conversation will follow the film. A newcomer to a Catholic prep high school falls in with a trio of outcast teenage girls who practice witchcraft and they all soon conjure up various spells and curses against those who even slightly anger them. At SubRosa, 703 Pacific Ave.
Friday, July 26th at 8pm: Dark Side of the Rainbow- You've heard the talk, now experience it for yourself! 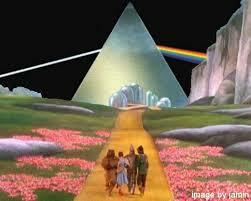 pairing of the 1973 Pink Floyd album The Dark Side of the Moon with the visual portion of the 1939 film The Wizard of Oz. This produces moments where the film and the album appear to correspond with each other. Secret Location to be Announced.